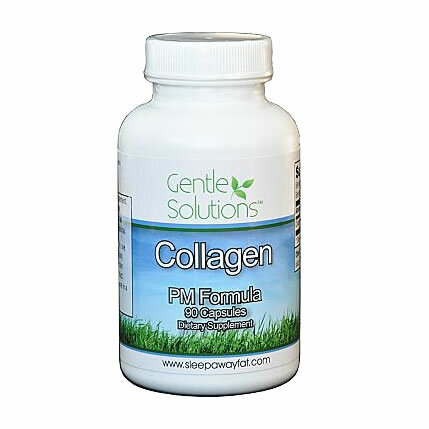 Gentle Solutions Collagen PM; COLLAGEN protein dietary supplement which aides the body in building lean muscle. Safe and proven natural weightloss management supplement, with no harmful side effects. If you are one of the Millions of Americans that are overweight and you are tired of structured diet plans that set you up to fail then Gentle Solutions Collagen PM weight loss supplement could be your answer. Gentle Solutions Collagen PM along with diet and exercise provides you with great results. Gentle Solutions Collagen PM is currently helping people across the world lose unwanted and potentially dangerous extra body fat. Being overweight can lead to severe health problems. In fact, according to the American Heart Association, being overweight is the single most independent risk factor for diseases of the heart. In addition, being overweight can also increase your chance for developing diabetes, having a stroke, increase your blood pressure and increase your chances of developing various cancers. Gentle Solutions Collagen PM is an all-natural weight management supplement and unlike most weight loss products on the market today, Gentle Solutions Collagen PM is safe and delivers results without harmful side effects. Gentle Solutions Collagen PM is a dietary supplement which does NOT contain ephedrine, amphetamines, caffeine, herbs or harmful stimulants. Collagen PM is safe and delivers results without harmful and unwanted side effects. One bottle will last for 30 days. For people with complex schedules, we offer a combo package of Gentle Solutions Collagen AM & PM. One of each bottle included for you to best suit your lifestyle. I quit smoking earlier this year and was afraid I would gain weight. I started taking the PM formula to try and prevent the weight gain and I am so very happy to say that not only did I NOT gain weight when I stopped smoking...but I have LOST 45 pounds with the PM formula along! I\'m very happy with my results and with the people at sleepawayfat.com. They are always nice, sincere and a pleasure doing business with. Thank-you! I\'ve been able to lose 25 pounds with the PM formula alone and never even gave up my Pumpkin Pie!! Love it! I have tryed almost every weight loss pill there is out there and they would make me sick to my stomach and not even work. Then I tried products from sleepawayfat.com. I took the am, pm, and the C.L.A.. WOW!! I lost 12 pounds in 3 weeks. The best part was I didn't get sick to my stomach. All I did was take the pills I didn't even go on a diet! !